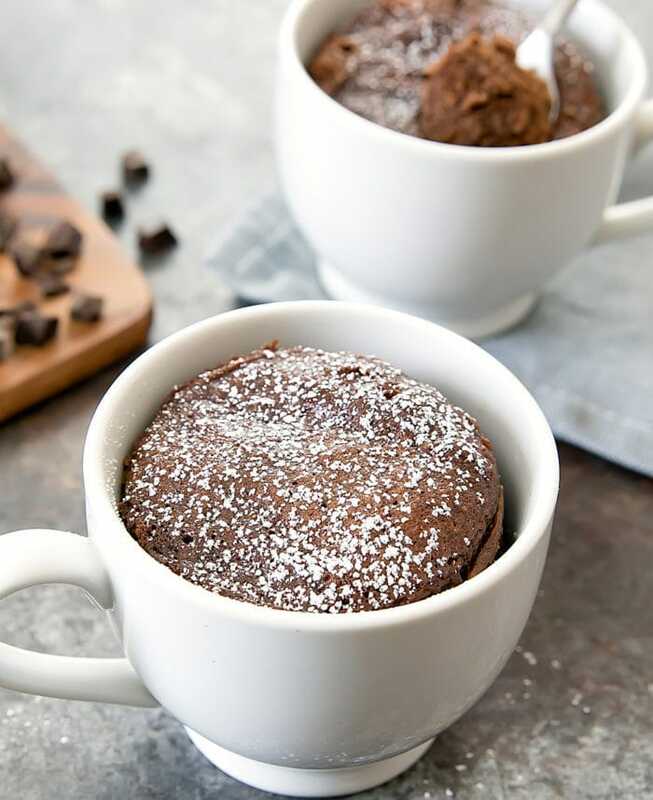 This chocolate mug cake is paleo, gluten free and wheat flour free. It’s also rich and decadent so you don’t miss the flour at all. It cooks in the microwave in less than 2 minutes! 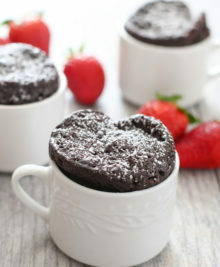 I’m really excited to share this mug cake recipe with you today. It tastes like a flourless chocolate cake, but with a lighter and fluffier texture. 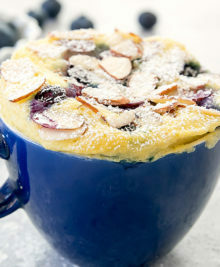 I previously shared my Paleo Blueberry Almond Mug Cake. 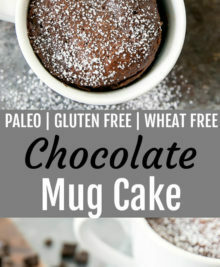 I’ve since received quite a few requests for more paleo mug cakes. So here is another one! My family doesn’t follow the paleo diet, so it’s sometimes hard to get them to eat the paleo recipes I make. But they really enjoyed this cake and were surprised to learn that it is paleo and gluten free. 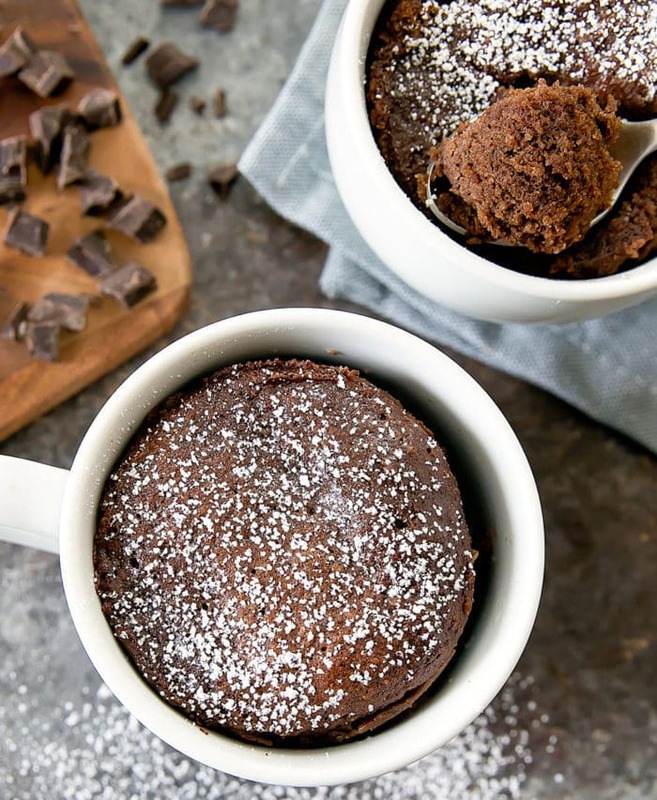 You need to make this cake in an oversized mug (16 oz – 20 oz). The cake rises quite high during cooking before sinking back down. If you attempt to use a smaller mug, the batter will spill out during cooking. It will also collapse unevenly when finished. Using a larger mug will give it ample room to expand and the structure to hold its shape when it condenses back down. Do not try to substitute the coconut flour with almond flour. Coconut flour is able to absorb liquids in a way that almond flour cannot and the coconut flour is needed to help create the structure for the cake. When the cake is finished cooking, it will have pulled away from the sides of the mug. You can then use a very large spoon to scoop the cake out in one piece and plate it into a smaller (8 oz) mug. 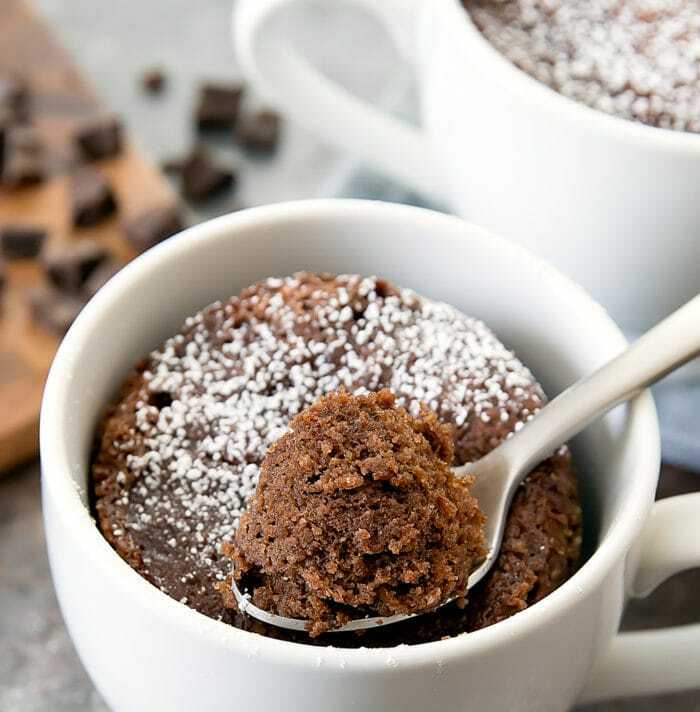 This chocolate mug cake is paleo, gluten free and wheat flour free. 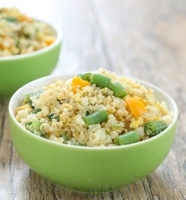 It cooks in less than 2 minutes in the microwave! 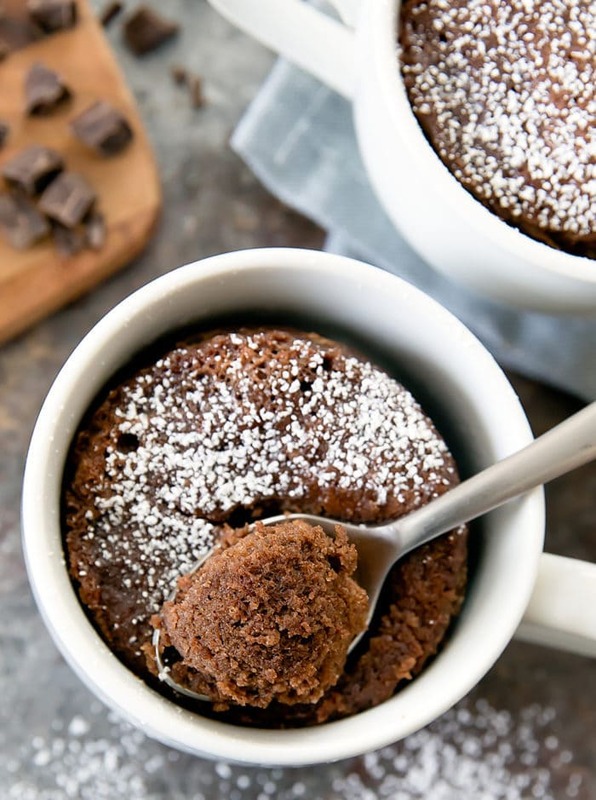 Add chocolate and oil to a microwave-safe oversized (16 oz to 20 oz) mug. Microwave at full power for about 40 seconds to heat up the chocolate and oil. Use a small whisk to mix until you have a smooth liquid chocolate. If the chocolate is not fully melted, you can microwave 10-15 more seconds to melt any remaining chocolate. Then whisk until chocolate is smooth. Add in remaining ingredients. Whisk until batter is completely smooth. Make sure the egg is completely mixed into the batter. Because the batter is so liquidy, it can sometimes be difficult to beat the egg white into the batter with the small whisk so make sure it is fully incorporated. 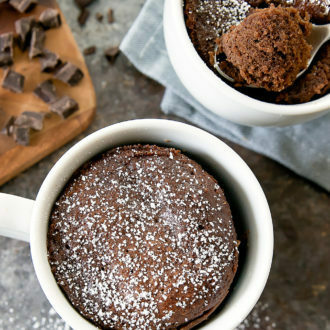 You need to make this cake in an oversized mug (16 oz - 20 oz). The cake rises quite high during cooking before sinking back down. If you attempt to use a smaller mug, the batter will spill out during cooking. It will also collapse unevenly when finished. Using a larger mug will give it ample room to expand and the structure to hold its shape when it condenses back down.